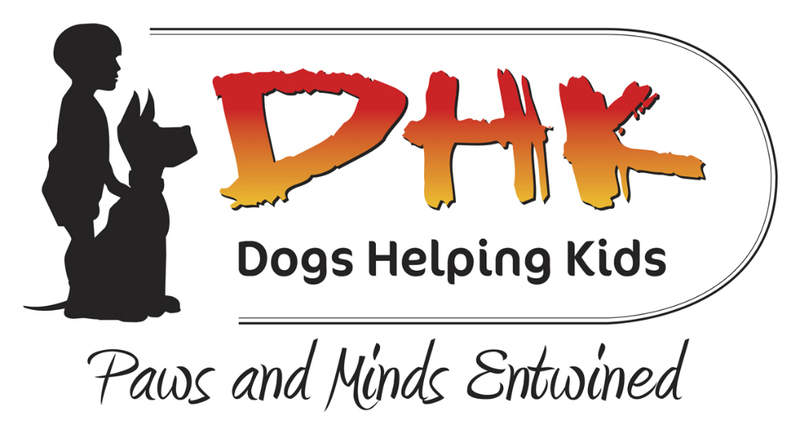 It is important to tackle problems that puppies are having with children early to ensure the safety of the children and to prevent a lifetime habit of being aggressive to children. Aggression can be classified as any seemingly hostile act that a puppy makes towards a child. This can include growling, snarling, snapping, nipping, and biting. Some puppies bite at children because they see them at potential playmates, especially if the child is running or moving fast. Although they don’t mean any harm, sharp pointed puppy teeth can cause hurt and damage to a child’s soft skin. Play biting needs to be stopped quickly and channeled into games with toys. Go to ‘Puppy Play Biting’. Many puppies do not have any or adequate socialisation with children in the litter and while very young and, as a result, can be fearful of them when they meet them later. If they are forced into contact with a child, they can quickly learn to use aggression to keep them at a distance. 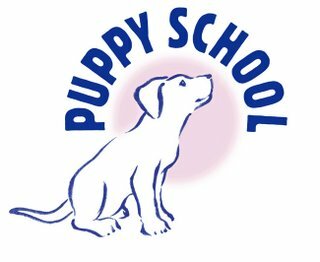 If your puppy is tense and stiff when encountering children, go to ‘Fear And Anxiety In Puppies’, ‘Puppy Aggression To People’ or 'Puppy Growling'. Sometimes puppies have had enough of children pulling them around, picking them up, or waking them up when they are trying to rest. If this goes unchecked for long enough, puppies may resort to aggression to keep the child away. Since young puppies need a lot of sleep, they may also become grumpy if they are kept awake by the interest and activity of the children when they should be resting. Always make sure your puppy has plenty of time to rest away from the noise and distraction of children and make the puppy’s resting area a no-go zone for children. Watch out for children picking your puppy up too often or in a way that is uncomfortable for your puppy, and don’t allow any teasing. Instead, show children how to play successfully with toys with your puppy instead. 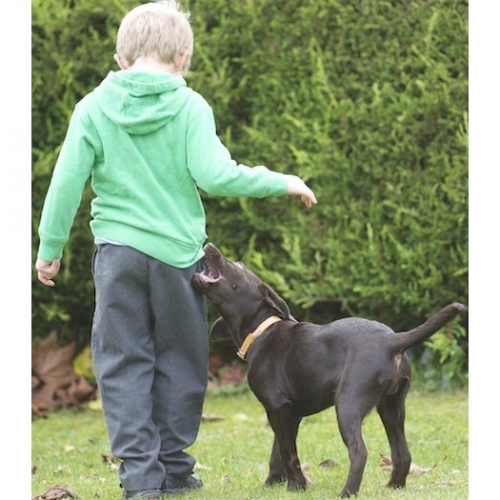 Make sure you have shown your puppy how to play well first, and teach a good retrieve so this it is easy for the children to play too. 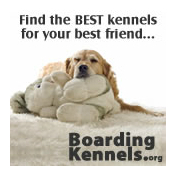 Go to ‘How To Teach Your Puppy To Play With Toys’ and ‘How To Teach A Willing Retrieve’.